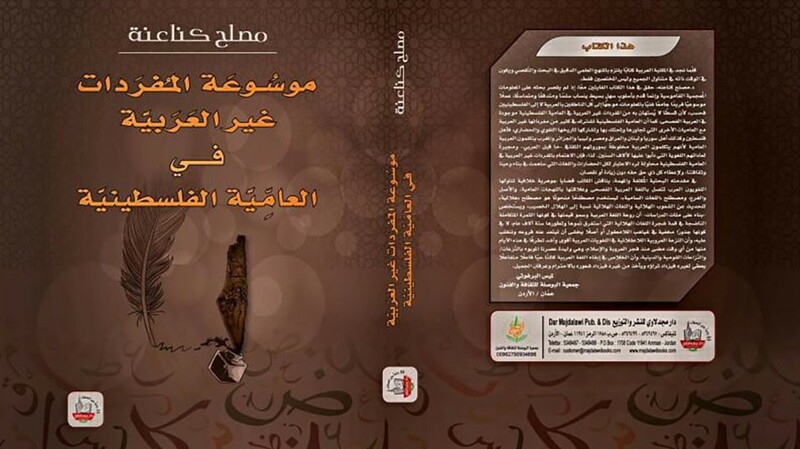 The book, published by Majdalawi Publishing and Distribution in Amman- Jordan, dives into the linguistic origins and language derivatives of the terms that are used in the colloquial and informal language used in Palestine and the Arab region in general. Kanaaneh called this language the “Crescent Language” according to the studied area, the Fertile Crescent, which stretches from the Nile River in Egypt to the Tigris and Euphrates rivers in modern Iraq. The people of this area, according to Kanaaneh, use special terms in their daily interactions that reflect the richness of their culture. Dr. Moslih Kanaaneh, born in 1948 in Arrabeh, Palestine, has authored and co-authored several national and international publications and has worked as a reviewer for reputed professional journals. He has an active association with different global societies and academies, and has made his mark in the scientific community with contributions and wide recognition from honorable subject experts around the world. Kanaaneh, who received several awards for his contributions to the scientific community, has major research interests in community social work, policy change and promotion of legislation, corporate social responsibility, and leadership and empowerment in the community.